I just finished teaching one of my favorite project classes ever! We made a paper bag book using Wanderful paper from Close To My Heart. This book really is created from paper lunch bags. Here is the front cover of the book. It was so much fun making embellishments to be used all throughout the book. Here we used the "Memories" stamp and layered it with a globe and "world" banner - creates lots of depth. 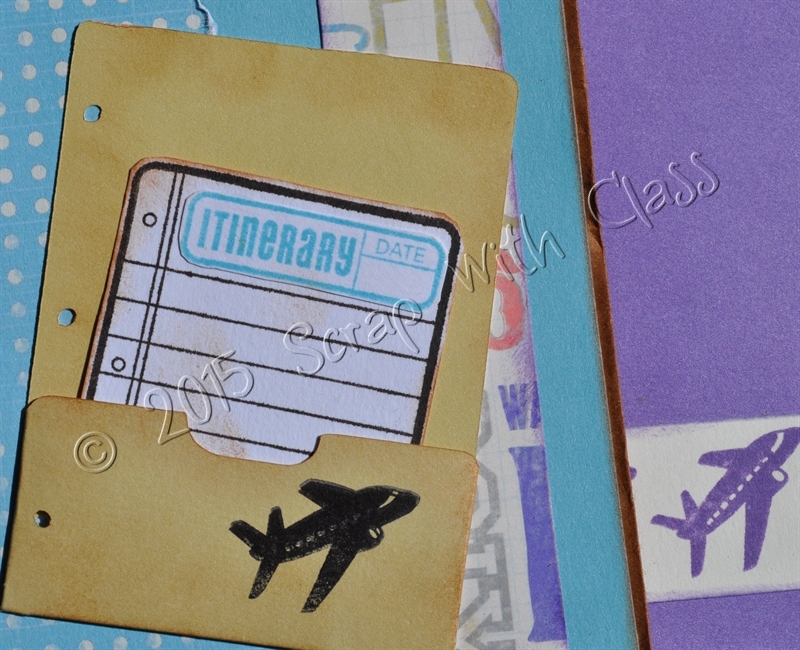 On Pages 1 and 2, we tore the corners before adding some more embellishments that we had created. 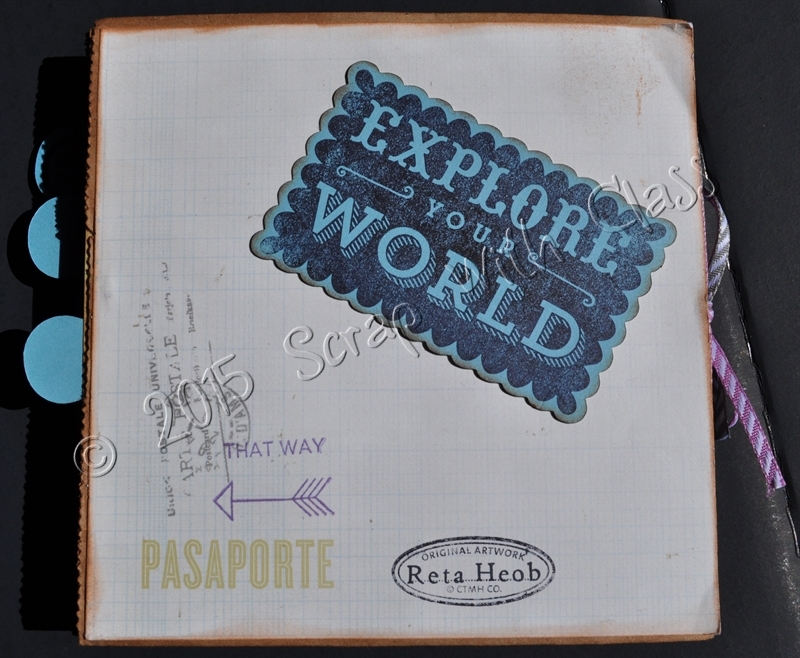 I just love the Cricut Cuts that pair with the CTMH stamps like the arrow below with the dots on it. CTMH Art Philosophy Cricut Cartridge and the CTMH Artbooking Cricut Cartridge. Isn't this the cutest little holder for the note card? It was so much fun creating all the embellishments for this book. You can create this book too using a Wanderful paper pack (X7191B) and 2 extra pieces of cardstock (1 of gypsy and 1 colonial white). 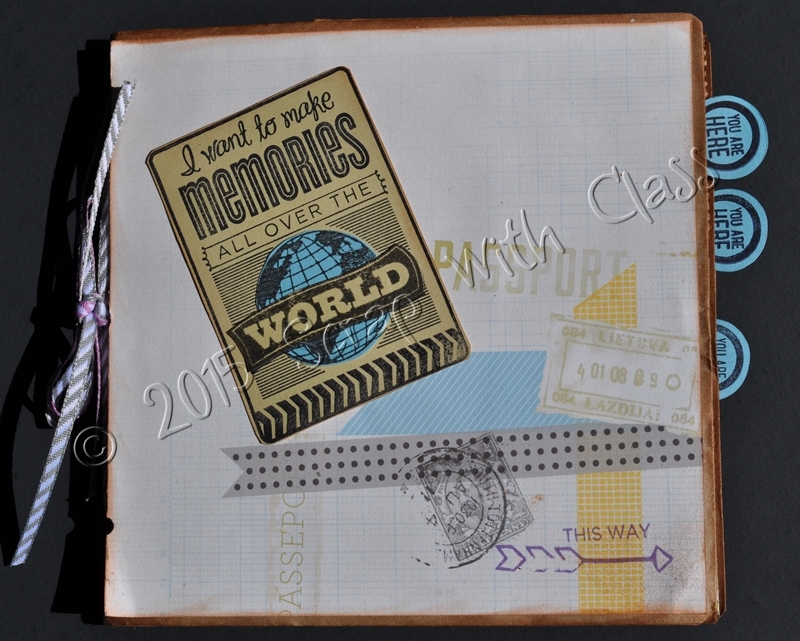 I used several stamp sets to create the embellishments, but you could use any stamps you have on hand. The ones I used are D1598, Timberline WOTG; D1600, Here We Go; D1622 Wanderful WOTG; C1592 World Traveler, and D1632 Amour. I also used Z1989 Slate Diagonal Striped Ribbon; Z1990 Thistle Diagonal Stripe; and Z2003 Black Arrow Washi Tape. With an order of $25 or more, I will email you the files that will allow you to create this book on your own. The file kit includes a cutting guide, an assembly guide, and a Cricut Craft room cutting file. If you are a CTMH independent consultant, you can take these files and use them to teach your own project class. You can get the files by placing a $25 on my CTMH site, or you can just purchase the file kit alone for $10.